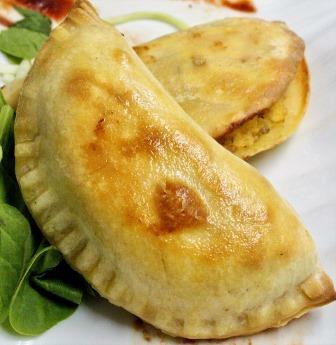 Mexican-style chorizo mixed with black beans, onions, and pepper jack cheese packed into our empanada dough. 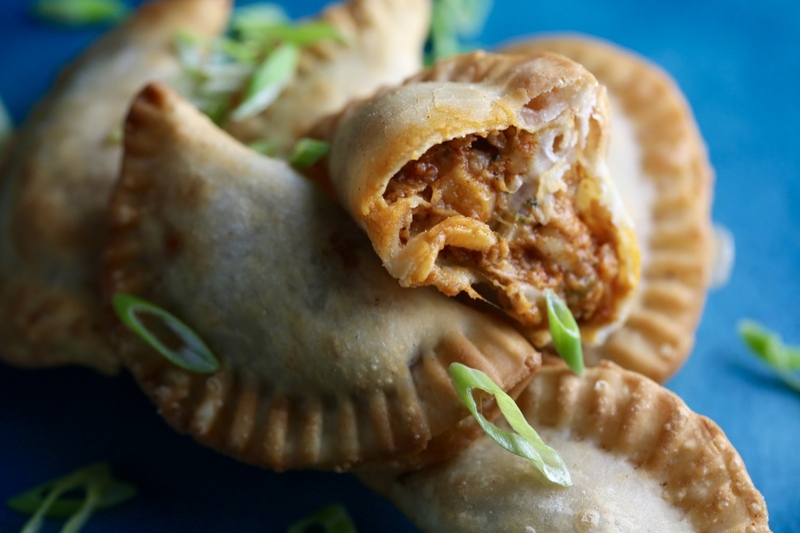 Tender hand pulled chicken doused in spicy buffalo sauce balanced by the sharpness of crumbled bleu cheese folded into our signature empanada dough. 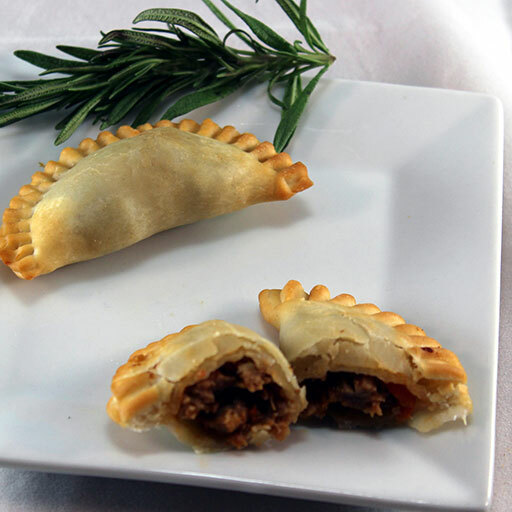 Slow braised short ribs combined with caved-aged Manchego cheese packed into our empanada dough. 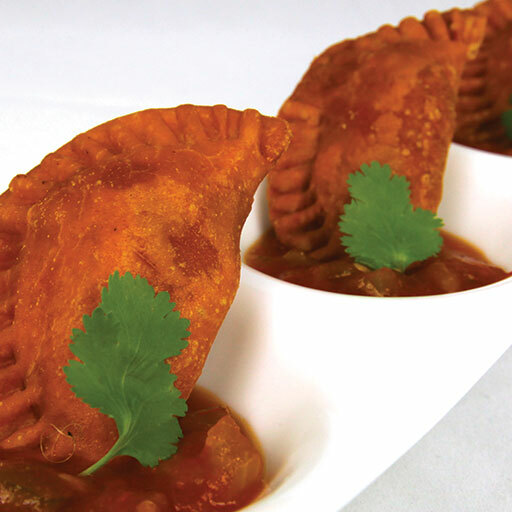 Michoacan-style pork shoulder braised with smoke-laden chipotle peppers and enveloped in a flour empanada dough. 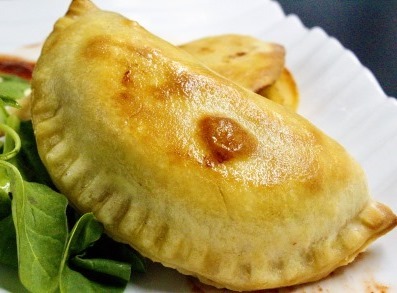 Fire roasted tomatoes, onions, and jalapeno peppers combined with cheddar and Pepper Jack cheeses, packed into our empanada dough. Tender thigh meat chicken seasoned in Southwest spices and paired with fire roasted vegetables, packed into our empanada dough. 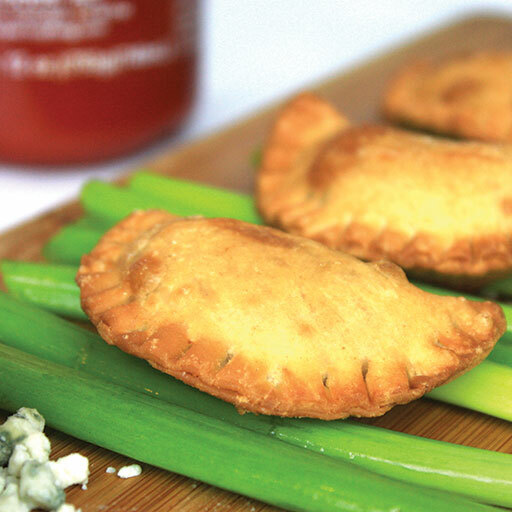 Southwest seasoned tender beef paired with fire roasted vegetables, packed into our empanada dough. 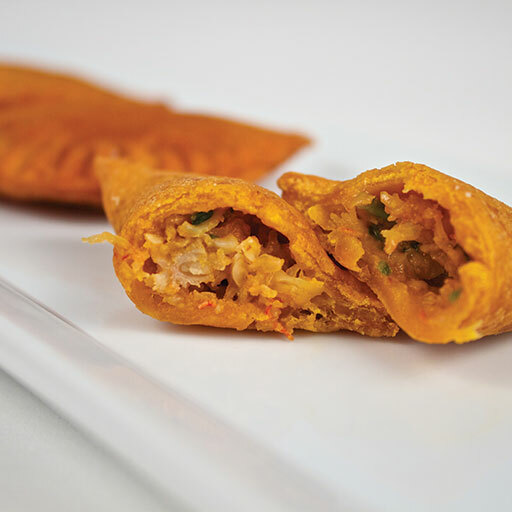 Fresh shrimp coated in our tangy chipotle pepper sauce, packed into our empanada dough. 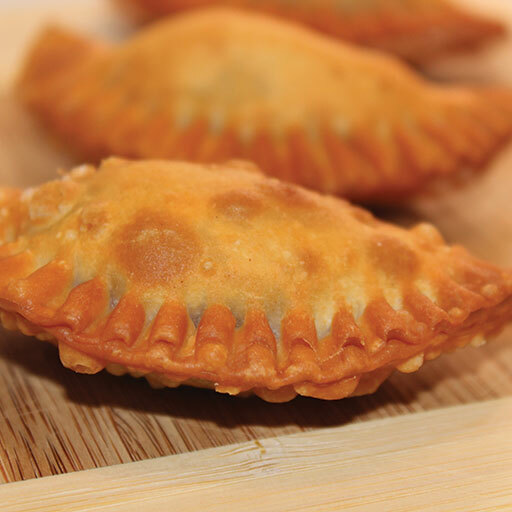 Maine lobster seasoned with Tex Mex spices, paired with black beans, and cheddar and Pepper Jack cheese, packed into our empanada dough.